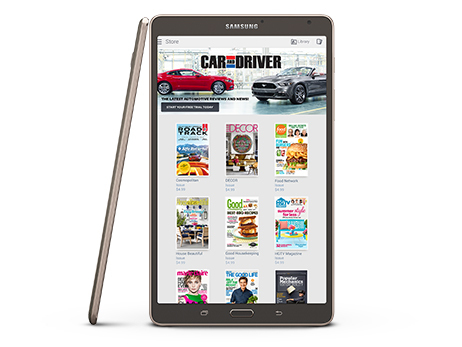 Enjoy sharp visuals with this Samsung Galaxy Tab S 8.4 SM-T700NTSAXAR tablet, which features an 8.4" Super AMOLED touch screen that displays content in 2560 x 1600 resolution. 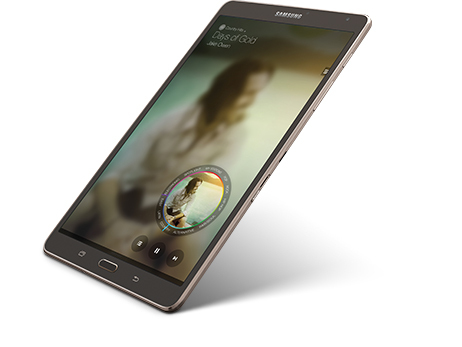 A Bluetooth 4.0 + LE interface allows wireless pairing with select devices. 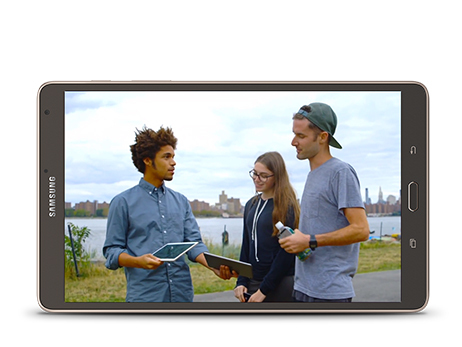 We asked people all over New York City to try out the Galaxy Tab S and see how it compares to the competition. Check out what they had to say. 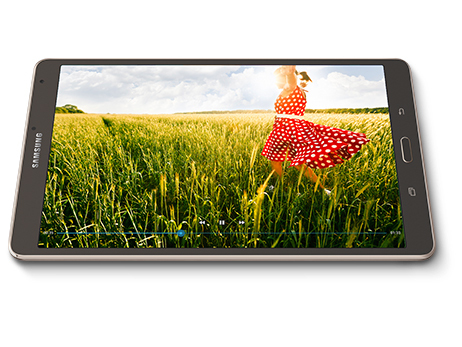 See your movies and games pop with vivid colors, dark shadows and stunning contrast on the 8.4" display. With two times the pixels of an HDTV, the screen also keeps everything clear by auto-adjusting brightness levels based on where you are and what you’re viewing. 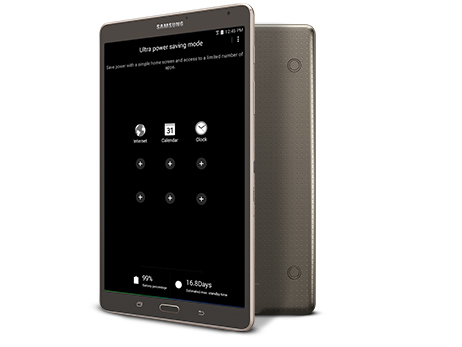 An ultra-thin build with a comfortable design makes this tablet difficult to put down. Lightweight and perfect for travel, it connects seamlessly with other Galaxy products for you to effortlessly share photos and videos from wherever you are. 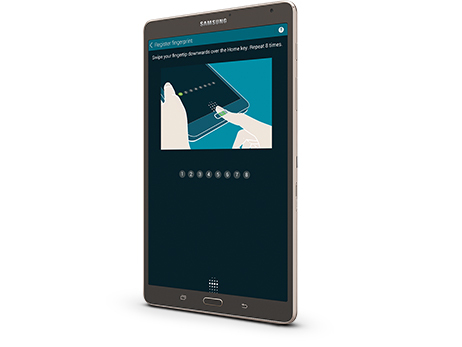 With Multi User Mode, everyone in the family can create a private and personalized tablet experience that can be secured with the fingerprint scanner. And for those wanting to keep the little ones entertained, Kids Mode lets you customize playtime and apps with parental controls. 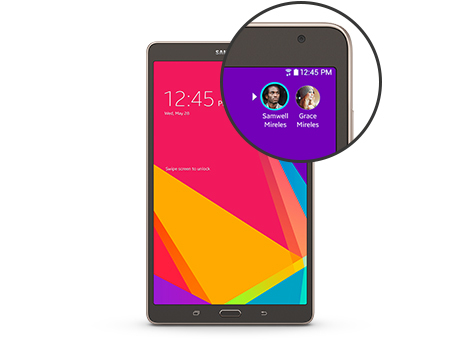 Unlock your tablet and keep your photos, videos, and personal files secure with just the swipe of your finger. Flip through your favorite sports, fashion and news magazines in Papergarden. 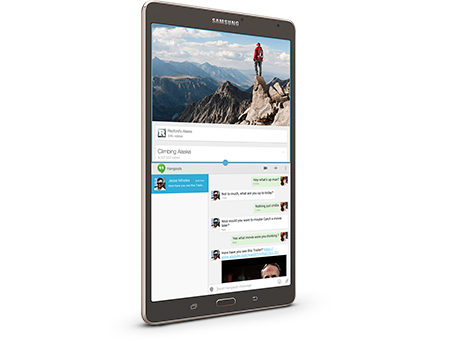 You’ll easily navigate through your favorite reads and see everything at a resolution that’s optimized for your Galaxy Tab S screen—so photography looks stunning and text is easy to read.